Every year, Operation Christmas Cheer provides holiday decorations and gift bags to more than a dozen local non-profit and charitable organizations that serve underprivileged and challenged adults and children. 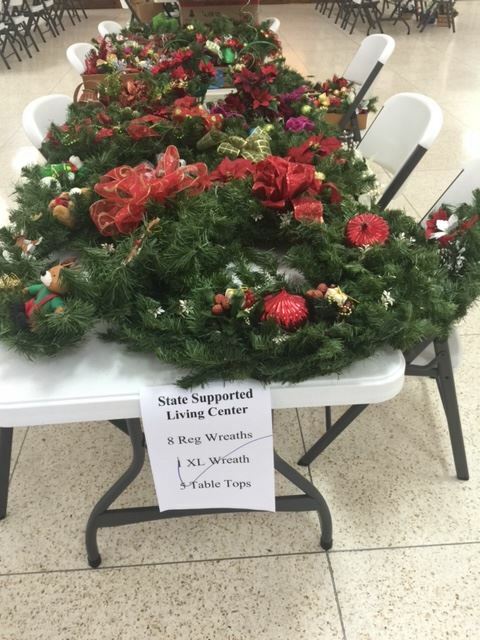 SAGC members and friends gather at Garden Center to create wreaths, table top items, and gift bags made from gently used holiday decorations, ribbons etc. The gift bags contain newly purchased items for children, teenagers, men and women. Come one day, or all three—9am to 3pm. We welcome everyone who want to give their time to attend the workshops. Just arrive at any time on any of the three days, but be sure to bring your crafting tools. Right now, our Operation Christmas Cheer closet is filled to the brim with donations of recyclable holiday decorations, new toys and personal gift items for adults—but money contributions are still much appreciated and needed to buy items that will even more gift bags for children, teens and adults.